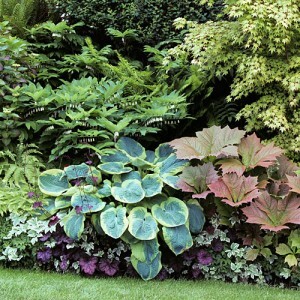 Foilage border can give you texture and color. 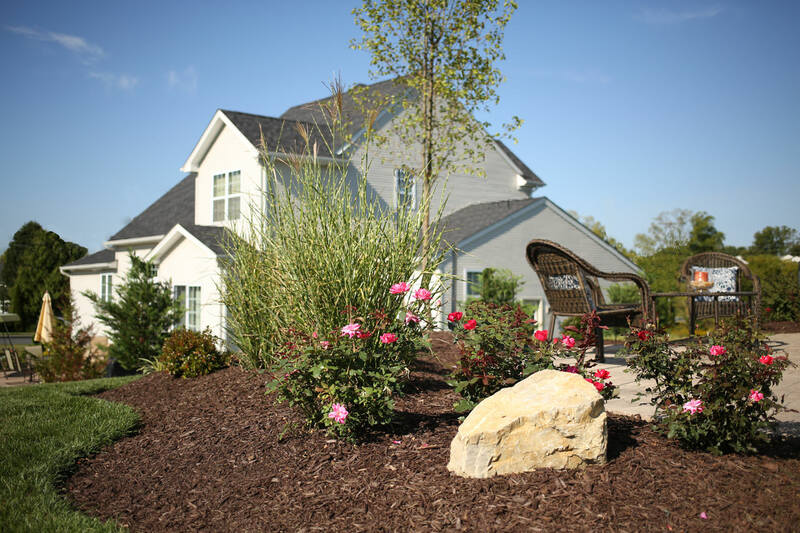 This moisture-loving shade border hits all those notes — plus it looks good even in winter, when the woody stems of deciduous elements combine with evergreens to give it structure. 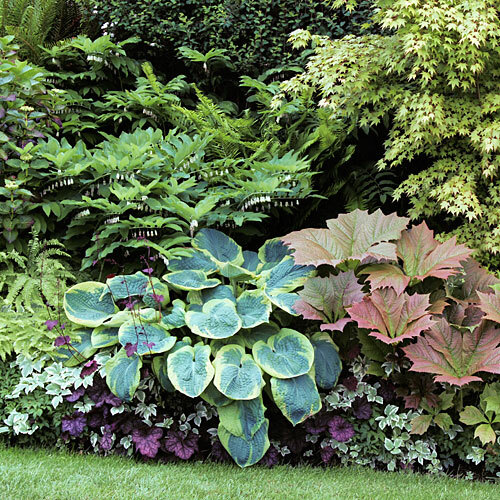 Plants, arranged low to tall, grow up an incline, adding extra depth and drama.